« 8/15 muscadines and frozen pizza! 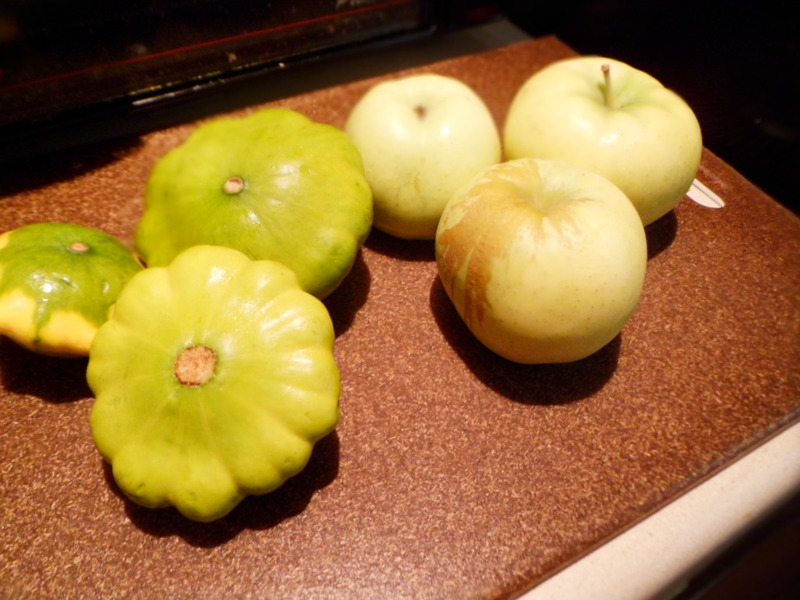 Patty-pan squash is a wonderful squash. Think yellow squash with almost no gushiness. 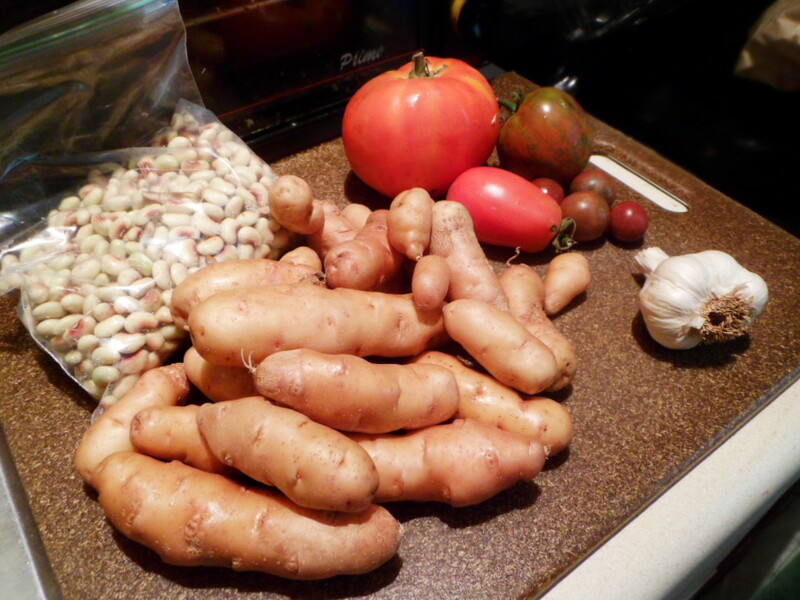 We had two rounds of delicious stir-fried squash with these puppies plus local garlic, butter, and cornmeal. Three cheers for patty-pan squash. The kale became kale with raisins and pine nuts – one of our favorite late suppers. 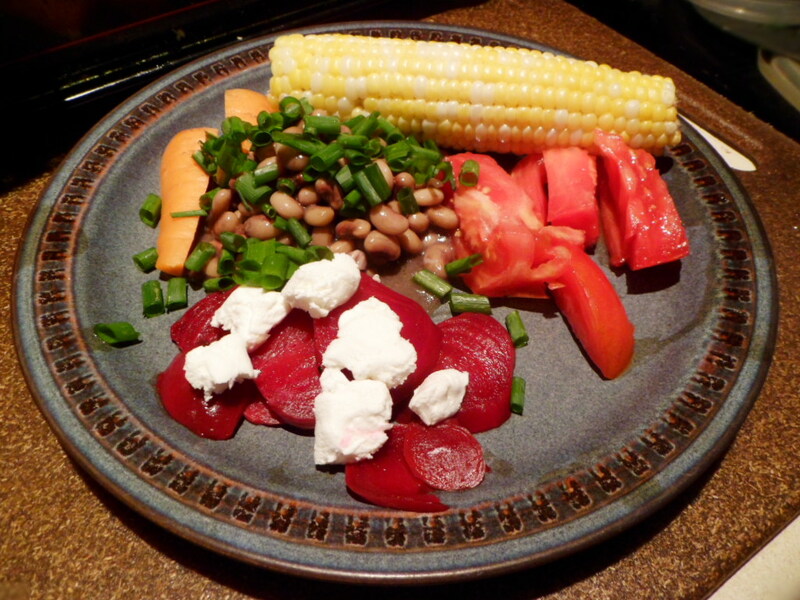 I roasted the beets and then served them sliced as a veggie side – often accompanied by an ear of corn. I’m racking my head for what we did with these potatoes. 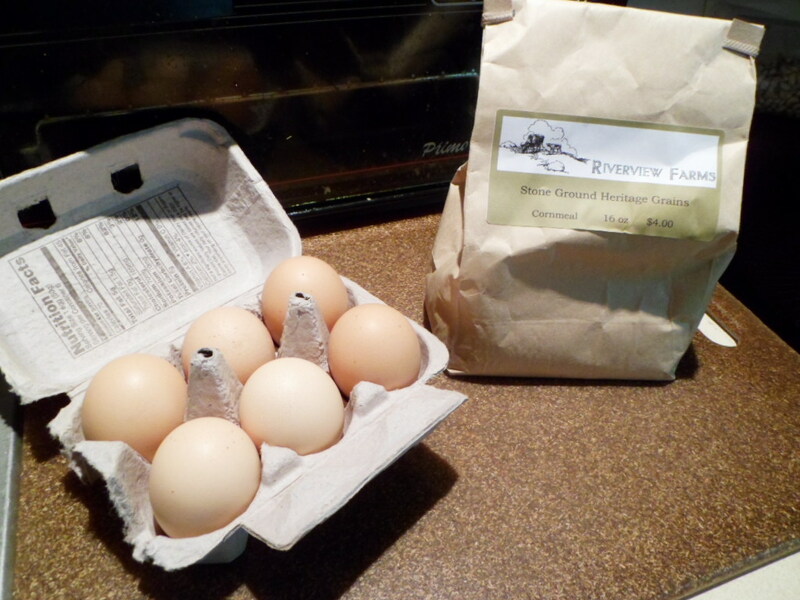 I may have grated them with the dream of making potato pancakes. They then turned into a delicious reality of hashbrowns after I couldn’t manage to get the cakes flipped right. The tomatoes became delicious bruschetta topping. And the field peas rocked our world. I used the cornmeal for stir-fried squash and eggplant Parmesan. But I’m also getting a hankering for corn bread. Mmmm… corn bread. 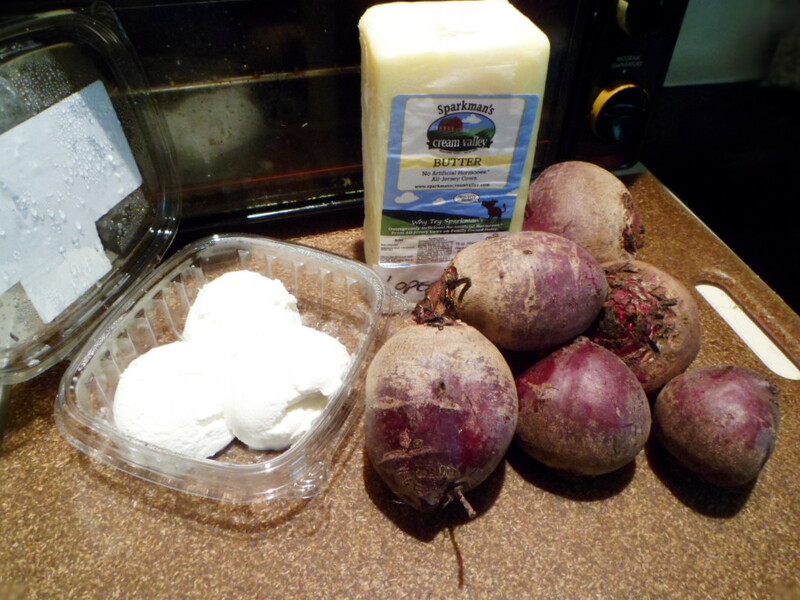 I’ve still got some of these beets in a bag in my crisper. They seem to be holding on pretty well. And here’s a pic of the kind of meals we’ve been grooving on this summer. 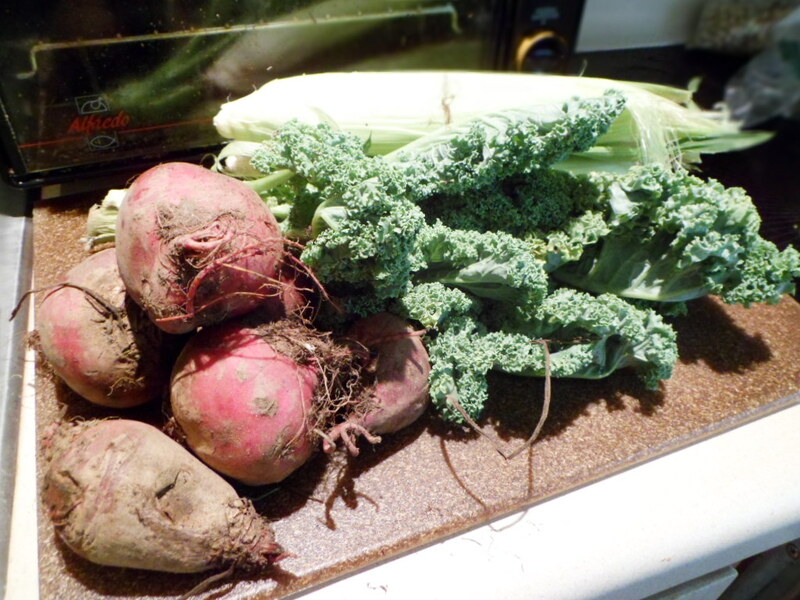 Hooray for local summer veggies!